La Ballade Culinaire à Milan est l'occasion parfaite de tout apprendre sur la cuisine italienne et le vin. C'est la visite parfaite pour vous qui aimez essayer des spécialités italiennes, tout en apprenant comment les préparer. Réservez vos billets pour notre savoureuse Ballade Culinaire à Milan ici! 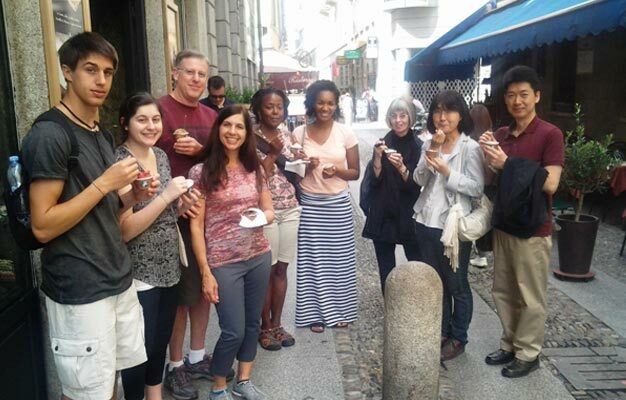 Our 3-hour Milan Food Tour is a unique and memorable tasting experience through the historic district of Brera, which is one of the oldest and fascinating neighborhoods of Milan. Brera is the quarter of Milan where the old world charm meets a trendy and youthful downtown vibe. On your Food tour in Milan, you will taste delightful Italian foods from local shops that specialize in traditional recipes using century-old techniques. 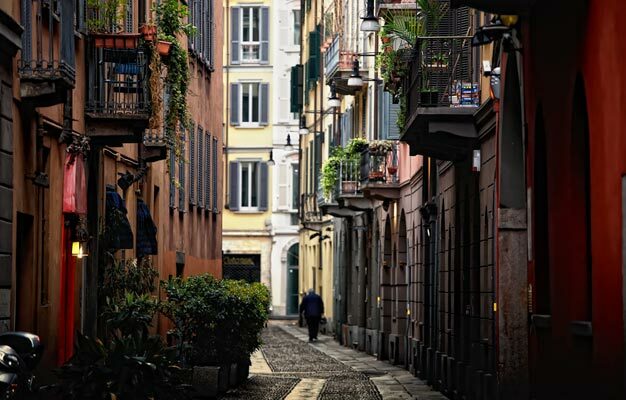 On this guided walking food & culture tour in English, you will also learn about the colorful history of Milan and how it has transformed throughout the centuries. Your guide will entertain you with stories and educate you about the origin of the food products and how they are made. After our Milan Food Tour, you will be able to truly appreciate the traditional Italian pastry, pizza, Parma ham, Culatello, unique Mondeghili meatballs, gelato and much more! • Milan-style Aperitivo at a trendy art and aperitivo bar “La Bicicletta""
* After you have completed your booking you will receive a mail where your e-tickets is attached as a PDF document. * Child age is between 6 and 12 years old. * All guiding will be in English. * Duration is 3 hours. * Menu may change based on the availability of specific seasonal ingredients.